British-born climate scientist and also astronaut for the NASA, Piers Seller, died this Friday in Houston due to pancreatic cancer. He was 61 years old. Charles Bolden announced the death, a NASA official, through a statement. Back in October of 2015, Sellers was diagnosed with Stage 4 pancreatic cancer, according to an exclusive editorial he did for the New York Times in January this year. In the text, Piers said how this diagnosis made his work toward climate change even more urgent than it was. “I was forced to decide how to spend my remaining time. I concluded that all I really wanted to do was spend more time with the people I know and love, and get back to my office as quickly as possible,” Sellers explained in the editorial for the New York Times published early this year. 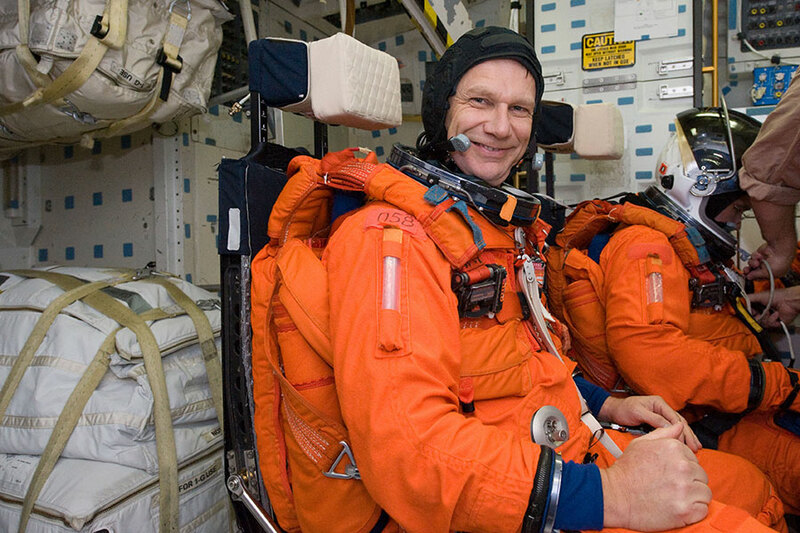 Piers Sellers began his fantastic career at the Goddard Space Flight Center in Greenbelt, from NASA. In that time, he also did some research at the University of Mayland at College Park, right after leaving the U.K. in 1982. From that year and until 1996 he published over 70 papers that were focused on the computer modeling of the climate change. In his academic work, Sellers studied the relation between the biosphere, which is the area of the planet that is inhabited by people, and the atmosphere. Later, in 1998, he was the team leader of NASA’s Terra Project, a satellite that had as a mission the monitoring of the Earth’s status regarding climate and environment. Sellers’ dream was becoming an official astronaut and travel to space. However, the law says that only Americans are allowed to travel with the National Aeronautics and Space Administration. While he was working at the University and the Goddard Center, he applied for the American Citizenship. Until 2015, the U.K. had no manned space exploration program. For this reason, Sellers could not fulfill his dream of space traveling with his native country. His dream of becoming an astronaut started when he saw the pictures of Russian Yuri Gagarin orbiting the planet back in 1961 and the photos of Neil Armstrong walking on the moon with the NASA in 1969. Sellers entered a British cadet program specialized in flying where he learned all of his pilot skills. He also graduated from the University of Edinburgh in 1976 and accomplished a doctorate in biometeorology from the University of Leeds in 1981. Sellers’ was able to obtain the dual citizenship and five years later he entered the official astronaut training program offered by the NASA. He traveled space three times from 2002 to 2010, going on all occasions to the International Space Station. He logged a total of 35 days in space as walked space for a total of 41 hours. In those journeys, Sellers was able to perform several emergency repair techniques tests using not such orthodox elements like caulk guns, putty knives, and even a spatula; he told the New York Times. After that space experience, Sellers returned to the Goddard Center to supervise all the scientific research regarding climate and weather changes and their respective causes and effects. He was deputy director of the exploration area and also director of his Earth science division. He said that because of his space experience, he could raise awareness concerning the climate change and its consequences to human life and Earth state. After Dr. Seller traveled to space in 2002 in the Atlantis spacecraft mission, he became the third British person ever to achieve it. His second flight was in charge of designing security measures that could avoid the 2002 Columbia spacecraft accident, which took the lives of seven astronauts. His third and final flight carried a new module for the International Space Station. In 2010, Sellers was acknowledged by the Officer of the Order of the British Empire for his work regarding climate investigation and weather behavior. He said that what he experienced is unexplainable as he states that he is hopeful for the Earth’s future years. “I’ve no regrets. As an astronaut, I spacewalked 220 miles above the Earth. Floating alongside the International Space Station, I watched hurricanes cartwheel across oceans, the Amazon snake its way to the sea through a brilliant green carpet of forest, and gigantic nighttime thunderstorms flash and flare for hundreds of miles along the Equator. From this God’s-eye-view, I saw how fragile and infinitely precious the Earth is. I’m hopeful for its future,” he wrote in the special editorial published in January.